“Follow that bear”, raise a bit of bling with your summer “Cordon Blue”, learn how to raise money with TopCashBack and discover the all new superbear from The little embroidery studio this July. 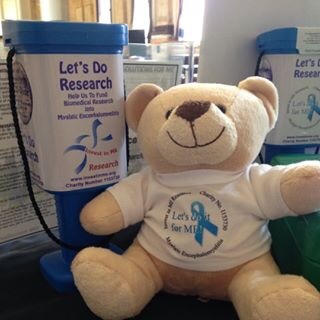 Follow the antics of our volunteer IiMER bear as he works hard to raise funds for research into ME. Pizza-loving, hardworking, and all-round awesome bear! (You may already be acquainted with him from his fundraising ﻿totals updates pics). He’s sure to keep you bearly amused! Add a touch of Cordon blue to your picnics, BBQs and other outdoor dinner functions this summer. Invite friends round, dress up as smurfs, shake up some blue cocktails, add a touch of blue seasoning to the food and most importantly, enjoy! Tell friends about IiMER’s vital work and ask for donations! 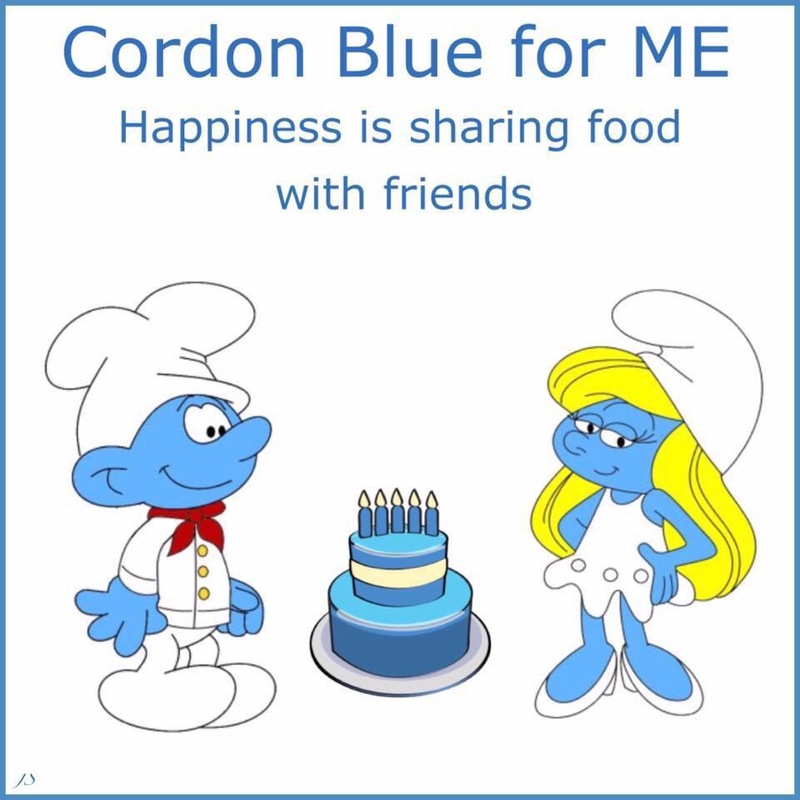 Visit Cordon Blue for ME on Facebook for inspiration, ideas and banter! Bears are going barmy for IiMER ATM! 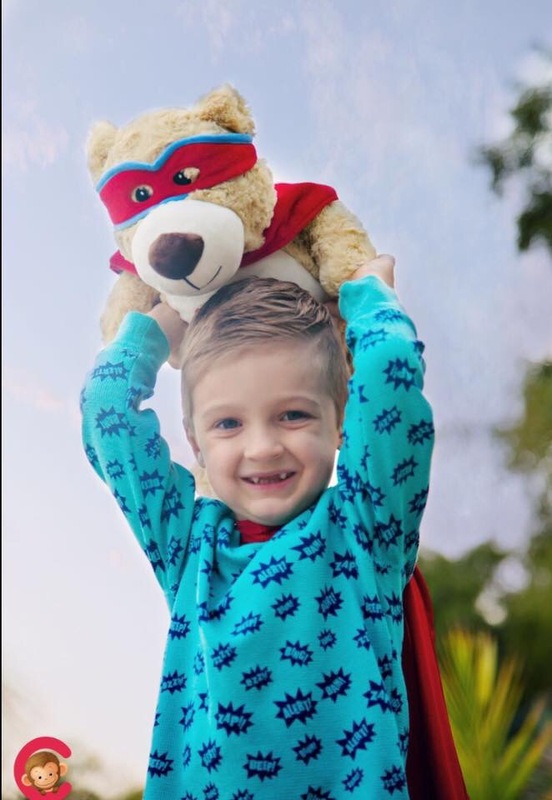 The little embroidery studio have created a brand new superbear and they’re donating ALL the proceeds from each bear sold, to a charity very close to their hearts – Invest in ME. That’s a fab £25 donation for each bear sold!!! Just to prove to Paul he hasn’t been forgotten- TopCashback.co.uk is the UK’s most generous cashback website and is recommended by Martin Lewis of MoneySavingExpert. Sign-up via our Tell-a-Friend link and TopCashback will make an extra donation to Invest in ME via Let’s Do It for ME co-founder Paul Kayes. You then get to choose whether to receive all of the money in your account yourself or opt to donate all, or a percentage of it. There is also a mobile app – learn more and download the app here. Start raising money now by signing-up. There will be a banner stating you have been referred by ‘Paulk22’. Remember the “One day, one pound” scheme. 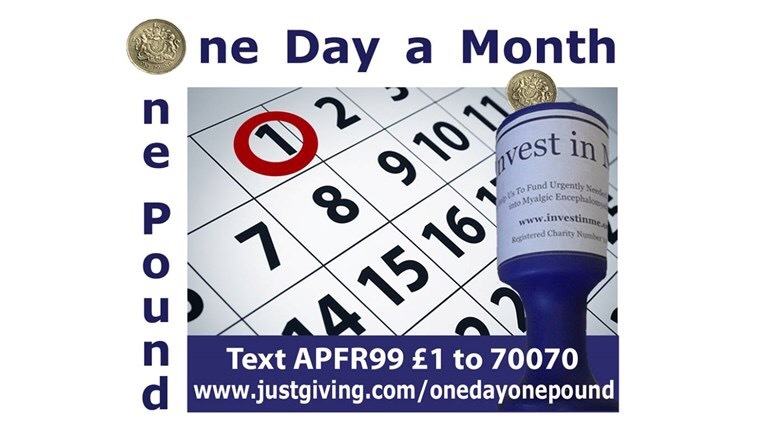 Unfortunately only donations from £2 can be made via this link but you can donate via justTextgiving by texting APFR99 £1 to 70070 (UK). Every pound helps!